Making Every Adult Matter (MEAM) is a coalition of national charities – Clinks, Homeless Link, Mind and associate member Collective Voice. Together MEAM represents over 1,300 frontline organisations across England. Working together we support local areas across the country to develop effective, coordinated services that directly improve the lives of people facing multiple disadvantage. We use our shared knowledge and practical experience from this work to influence policy at the national and local level. 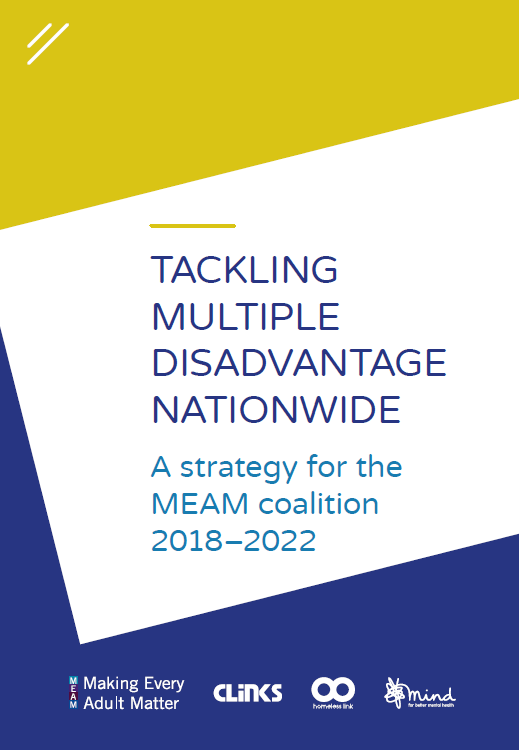 The MEAM Approach helps local areas design and deliver better coordinated services for people experiencing multiple disadvantage. It’s currently being used by partnerships of statutory and voluntary agencies in 21 local areas across England. 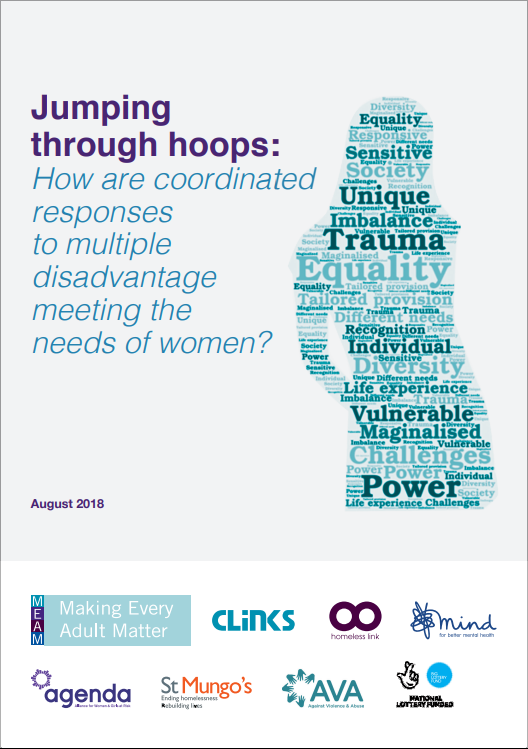 Jumping through hoops: How are coordinated responses to multiple disadvantage meeting the needs of women?